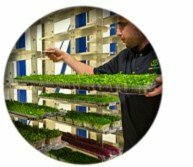 Growing plants in an indoor and controlled environment is becoming an important new industry in virtually every part of the world. Whether you are growing food crops for consumption or decorative plants for indoor or outdoor landscaping, indoor growing requires transporting plants, systematically, to the right place at the right time. Conveyors can add tremendous effciency to this process by speeding up the handling of plant materials and also by freeing up greenhouse workers for more skilled functions in the growing operation. This PAC-LINE™ conveyor is designed to automate the movement of plants from the load area, through the growing and watering areas, and onto unload and shipping. 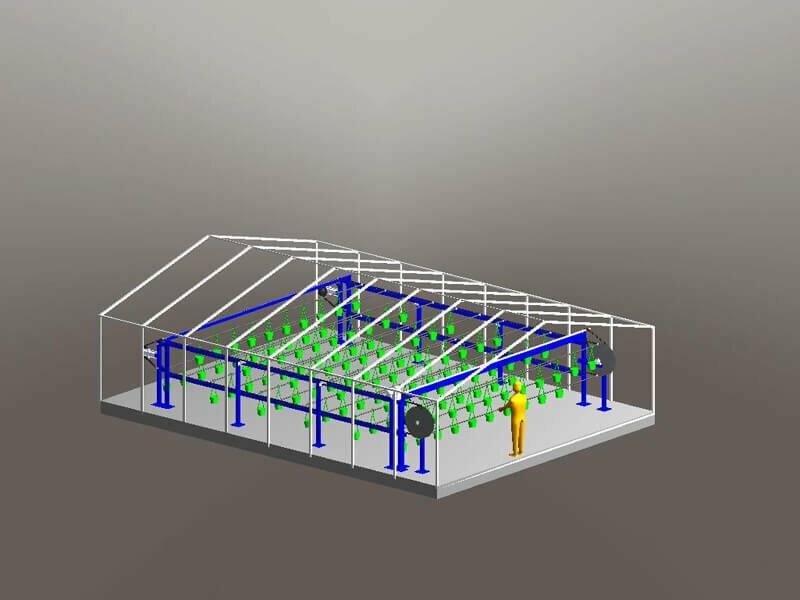 This system allows the greenhouse to grow hanging plants on 2-4 levels while providing equal sun exposure for all plants. 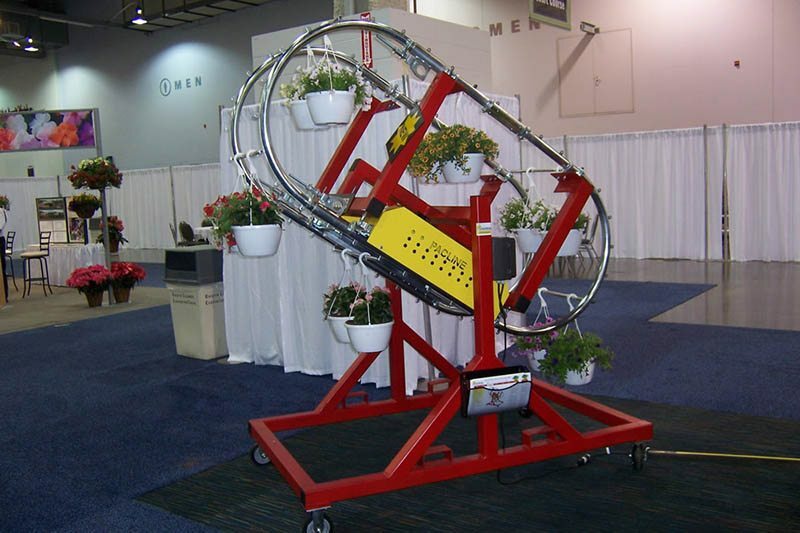 This conveyor test-loop was used to demonstrate the functionality and versatility of the PAC-LINE enclosed track system for handling hanging plants in greenhouses and growing operations. The PAC-LINE™ system is highly efficient – an 800 foot system uses less energy than that required to power a blow dryer! 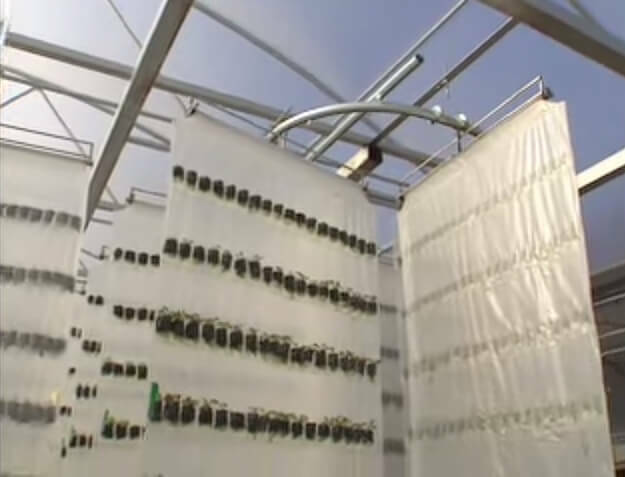 This vertical, hydroponic growing system utilizes a floor supported PAC-LINE™ conveyor and transports hanging bags for growing leafy greens and strawberries. The conveyor track is zinc coated to prevent rusting and corrosion in the greenhouse environment.